AN Ayr hotel has scooped a hotel industry Oscar for the second year in a row - less than three years after opening! 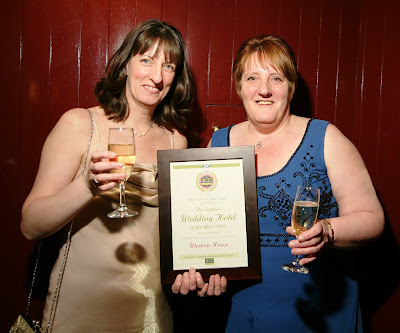 Western House Hotel at Ayr Racecourse has been voted Scottish Wedding Hotel Of The Year 2008 at the prestigious Scottish Hotels Of The Year Awards held at Prestonfield House Hotel, Edinburgh on Sunday evening. The four-star hotel was chosen by a panel of more than 20 judges including representatives from leading Scottish magazines, VisitScotland and the Scottish Press. 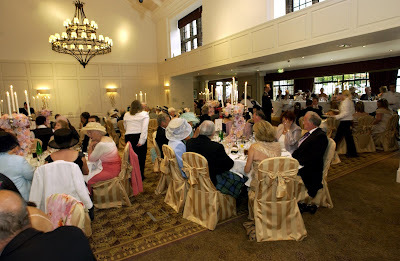 More than 500 Scottish hotel industry professionals attended the event. Now in their 5th year, the Scottish Hotel of the Year awards is the largest event of the year and is hailed as the ‘Oscars’ of the Scottish hotel industry. The event was hosted by BBC presenter Sally Magnusson and attended by guest of honour Cabinet Secretary for Finance and Sustainable Growth, John Swinney MSP. The evening featured a surprise performance from Pop Idol winner Michelle McManus. Designed to encourage, recognise and reward excellence in hotels and staff in Scotland, the Scottish Hotels of the Year awards are administered by Scottish hotel review website HotelReviewScotland.com (HRS). Nominations are made by consumers, industry and HRS reviewers. Final award winners are selected by a proportional combination of online public votes, an Awards Panel made up of well-known industry experts and critics, and finally, a four-strong panel of Award Judges, including renowned food writer Wendy Barrie. The 2008 awards attracted votes from over 20,000 people worldwide. 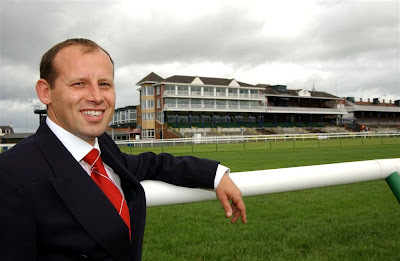 William Gorol (pictured above), General Manager of Ayr Racecourse, owners of the Western House Hotel, was naturally proud of the award, and said: “The success is down to having a great team from our wedding co-ordinator through to the hotel management and chefs, restaurant staff and bar staff. In 2007 Western House held more than 150 weddings, and that figure looks certain to be topped this year. Last October Western House also won a coveted VisitScotland Thistle Award for Customer Care – Service Accommodation. The 49-bedroom destination was formerly the meeting place and offices of the Western Meeting Club, owners of Ayr Racecourse until 2003. It opened as a hotel on 3 June 2005. - where Ayrshire business news breaks first!